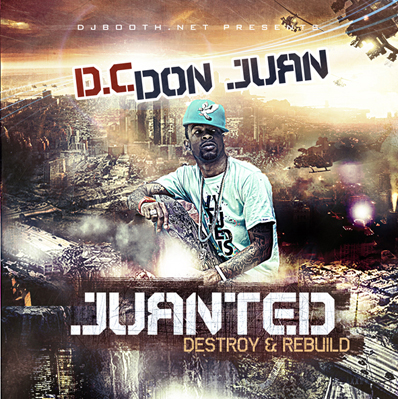 About Mixtape: With features from Kevin Ross, Quiksilva, Que, and more D.C. Don Juan is ready to show the world the many faces to his music. The follow-up to his ConGraduation mixtape, the project features 20 brand new tracks, including the acclaimed “Hands Up”, “Rock With You”, and “Get Like Me”. The Battery/Jive Records signee’s first project to feature all-original production, Juanted comes backed by the boardwork of such heavyweight beatsmiths as Best Kept Secret (”Pretty Girls”) and KE on the Track (“Swag Surfin’,” “All the Way Turnt Up”).